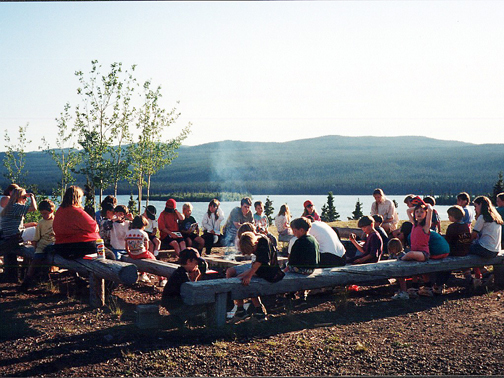 The Braeburn Lake Christian Camp Association is made up of congregations from the Catholic, Anglican, Lutheran and United Churches. The Association owns and operates a summer camp on the shores of Braeburn Lake. The camp hosts children from the ages of 6-15 for up to five weeks each summer. Traditionally children attend PeeWee Camp, Junior Camp or Teen Camp. Braeburn camp also has a successful Councillor in Training (CIT) program that encourages teenage members of our congregations to participate in camp and share in a leadership role. Volunteers are the heart of Braeburn Camp. Whitehorse United Church has supported the camp with financial and human resources since the late 1960's.